Hello, everyone! I hope you had a good weekend! I’m doing great. I’ve been working a lot lately on being a more productive writer. 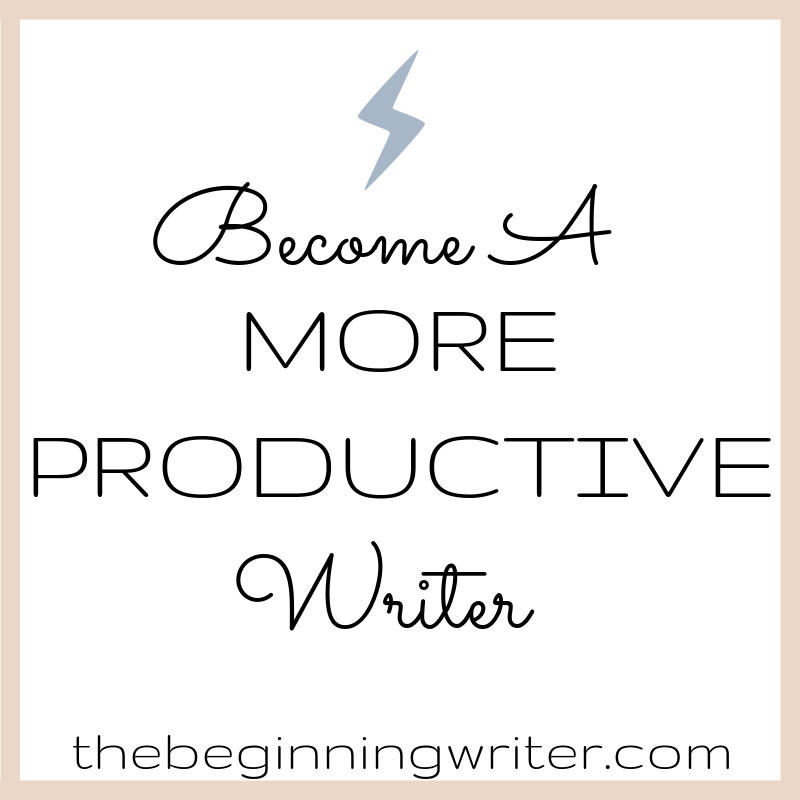 What do I consider a productive writer? I guess that would be someone who writes regularly. Someone who gets the words on paper and meets the goals and deadlines she’s decided on. Someone who doesn’t procrastinate and doesn’t let her fear and self-doubt overwhelm her. Also, someone who uses her time wisely instead of wasting it on meaningless things. Just as a vegetarian reinforces daily this way of life with the food he chooses to eat, the Productive Writer holds a clear and meaningful value that gets expressed and explored in a myriad of ways every single day--in the writing she does, the relationships she has, the spirit in which she works, and the opportunities she creates to move toward her goals. As nuanced and unique as our writing lives are, such is our relationship with productivity. Different types of writing have different demands, and every project and commitment will teach us something new about who we are, what we’re made up, and what approaches bear repeating. This is the joy and the challenge of the writing life. In the first-draft writing stage, just being in motion and getting the words down on the page is the most important part. Write as if you are laying down bricks, one after the other. None is more worthy than the next; each has it’s part to play as your writing takes shape. The composite will eventually add up to something whole. Every time you sit down to write, no matter what you are writing, or how high the stakes, think of what you’re doing as practice. Why? Because it takes the pressure off and keeps humility front and center. The more we practice, the more possible our writing will become. And the more confident we will be in our ability to show up at the page and make something interesting happen there. Most writers don’t know exactly where they are heading with a piece of writing. Even if they have a detailed outline or a very specific idea in mind of what their destination might be, and even if they arrive at said destination, the specific trajectory is likely to reveal itself along the way. Trust that what you want to be known will make itself evident along the way. Your job is to be in motion, be willing to be surprised, and follow where you are led. There will be plenty of time for steering, that is, editing, along the way. That’s it for today! I’ll talk about being a more productive writer on Wednesday. Hopefully I’ll see you then!